Fresh out of the South-West duo BAAST bring dark alternative pop, mesmeric synthesis and sound design intertwined with spoken word and soulful vocals. Unafraid to tackle politicised themes of identity, their performance will captivate and challenge the way you’re told to think. After a year of producing and writing together, they aim to bring a refreshing, brooding sound to the ears of listeners. 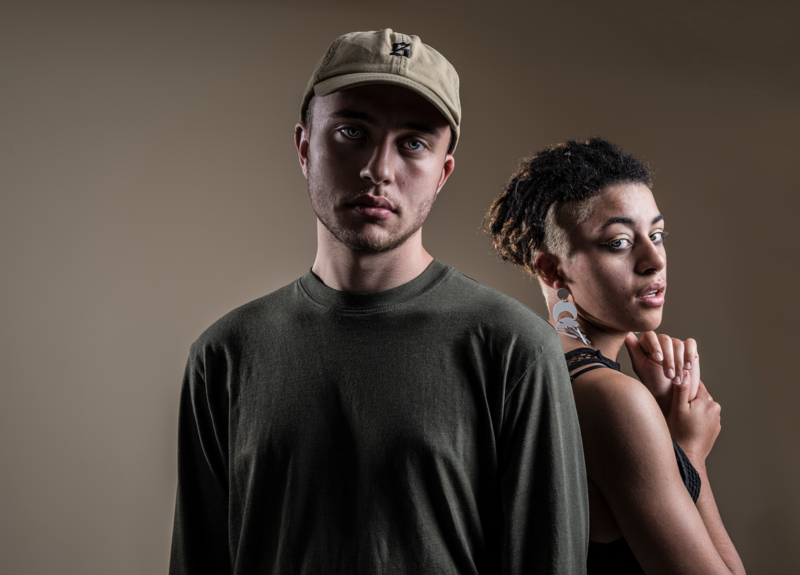 Formed by Beth Griffin (Grove) and Josh Petkovic’-Short (Diessa), the pair met in Cheltenham before developing their cohesive sound through Studio 340, a creative community arts venue. Here, they began their out-of-the-ordinary journey. Growing up in a limiting, restricted and conforming community, Beth was left feeling disconnected from her surroundings, while Josh fell disillusioned with society. The years of inability to explore personal identity now fuels their ambition to craft songs that speak a visceral truth about what it’s like to grow up with that disconnect. The importance of individuality is prominent throughout BAAST’s performance, and their powerful tales charge through every second of each song. The magnetising duo are highly anticipated within their local live scene, as both work on their solo projects. Josh releases left-field electronic music under Diessa and runs label/art collective Gloam Recordings, working with the likes of Brian Eno endorsed artist R.ariel, as well as Yuki Ame, LTO and Kayla Painter. Beth is also one of five within her hip-hop vocal collective group ‘5 Mics’ (Griz-O, JPDL). As well as performing at Greenman Settlement Festival, Witcombe Cider Festival and Tadstock, she has supported the likes of Martha Reeves & The Vandellas, The Hot 8 Brass Band and So Solid Crew.